8" x 6” x 1.5” Wood Pallet Box Sign Made in the USA. 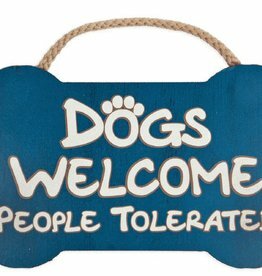 "Dogs Welcomed People Tolerated." This 9.5”x7.5” bone shaped wood sign comes with a rope handle for easy hanging. 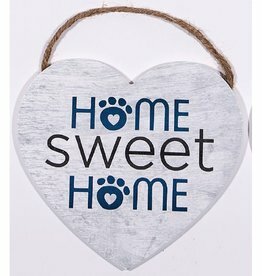 This heart shaped 8.75”x8” wood sign comes with a rope handle. "I work like a Dog so my Dog can be treated like a person." 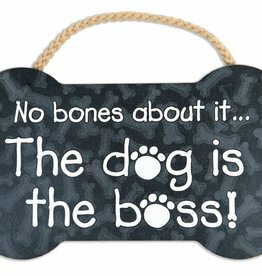 This 9.5”x7.5” bone shaped wood sign comes with a rope handle for easy hanging. "No Bones about it...The dog is the boss!" 9.5 in. X 5.75 in. Bone Shaped Sign with Rope Handle. The Rectangle Shaped 9 x 6 Signs with rope handle is MADE IN THE USA. 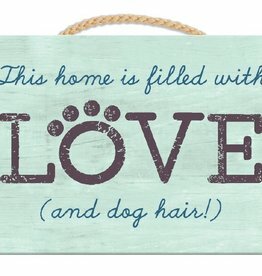 The unique gift for any dog lover!